A seguito dell’incontro con il nostro Ambasciatore Dott. Alberto Colella, pubblichiamo le statistiche, forniteci dall’Ambasciata, elaborate analizzando il database AIRE degli italiani residenti nella contea del Rogaland. Ringraziamo il Comites per aver promosso e organizzato l’iniziativa. Paolo Nespoli has spent 313 days in space, on three different missions on International Space Station – he is flying in from Houston to join the opening reception of Spaceport Norway, on the evening of 22 May. On a new fjordcruise boat that will take you out on the Lysefjord, he will meet more than 50 of his European Space Agency colleagues, as well as many delegates from many new and innovative startups, that are registered for the conference. 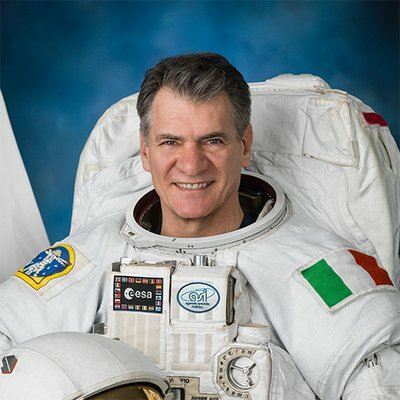 Paolo Nespoli will also be one of the keynote speakers on the first conference day and central in a very special session that will be announced later. There has probably never been this many space leaders, experts, investors and business developers in the same Norwegian city, at the same time, ever. Antonella Gentile is a 33 years old girl and last year she decided to help a Non-profit organization with a crowdfunding initiative. The organization is AMREF and it is committed to improve the health of people in Africa by partnering with and empowering communities, and strengthening health systems. How did she start this crowdfunding? Travelling from Rome to Northest Norway by bicycle, pedalling for 5 thousand kilometers in 183 days (5 months) and using couchsurfing to sleep. She had only a backpack with her, with few t-shirts, some sweaters, gloves and two pair of shoes. 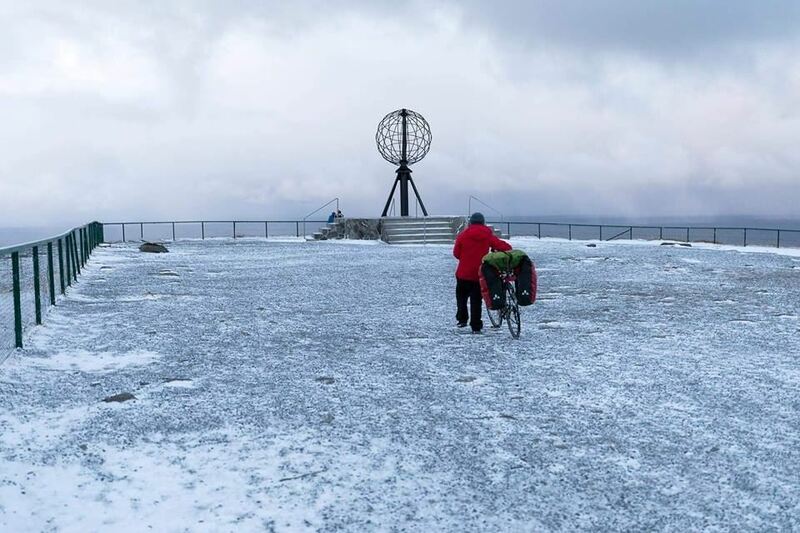 Antonella said that her adventurous trip was incredible but also hard, especially when she arrived to Norway, where the weather was not indulgent and the dark period was starting. She has found a lot of hospitable friends, but unfortunately almost at the end of her trip, she was scared from a sort of stalker that followed her trough her Facebook page. Thankfully everything ended in the best possible way and now Antonella is back to Italy, planning her graduation in Oriental Languages. Ikis has financed one of Antonella's nights in Norway and we are very proud to know that there are younger italian people so active in social activities. The concept of "black gold" is associated in Norway to the oil that has made this country one of the wealthiest in the world. In Italy, when we talk about "black gold", we normally refer to something more sophisticated, tasteful, and environment-friendly: the Balsamic Vinegar from Modena. This fantastic product is very well appreciated also here in Norway, and it is one of the many icons associated with Modena and its province, together with Ferrari, Pavarotti, and many more. On Friday 9th June, just when IKIS was celebrating the "Festa della Repubblica" at ENI Norge together with the Frecce Tricolori, the Italian Ambassador and many other guests, a bottle of balsamic vinegar was being ceremonially delivered at Cape North. 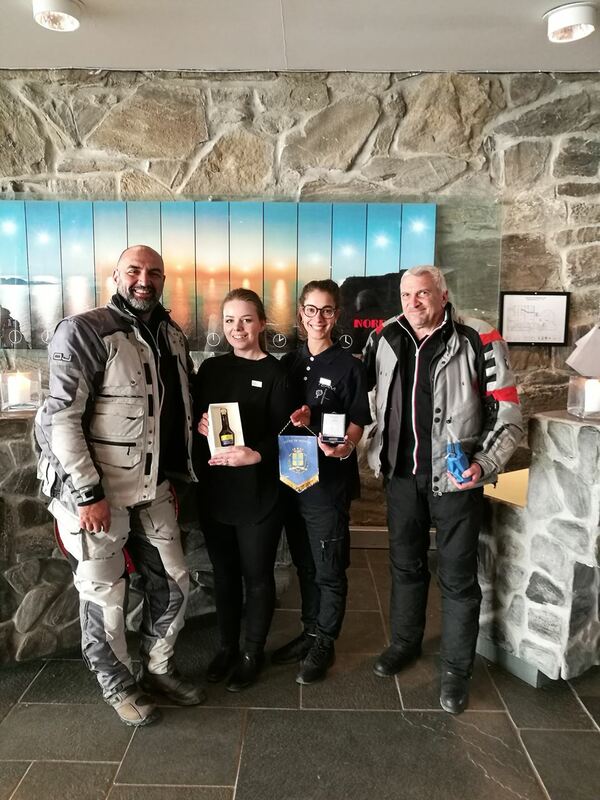 Gionata Sclavi (a policeman) and Mario Logiurato (a retired Carabiniere) have delivered the precious liquid to the restaurant manager of the Scandic Hotel in Nordkapp, after driving their motorbikes all the way there from their native Modena. 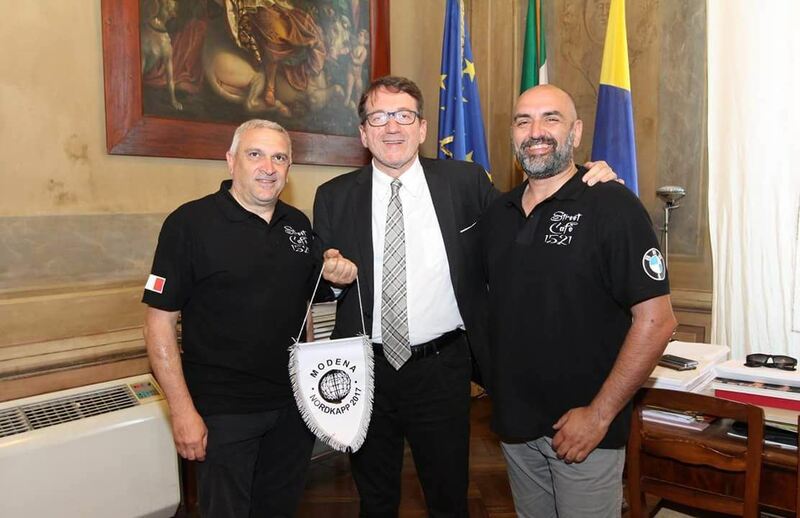 The two bikers started their trip with the greetings of the mayor of Modena, who delivered a pennant of the municipality of Modena together with the bottle. On the way to Cape North, Gionata and Mario stopped also in Oslo, where they symbolically met the Italian community in Norway, represented by Elisabetta Cassina, President of the Comites (Comitato Italiani all'Estero). 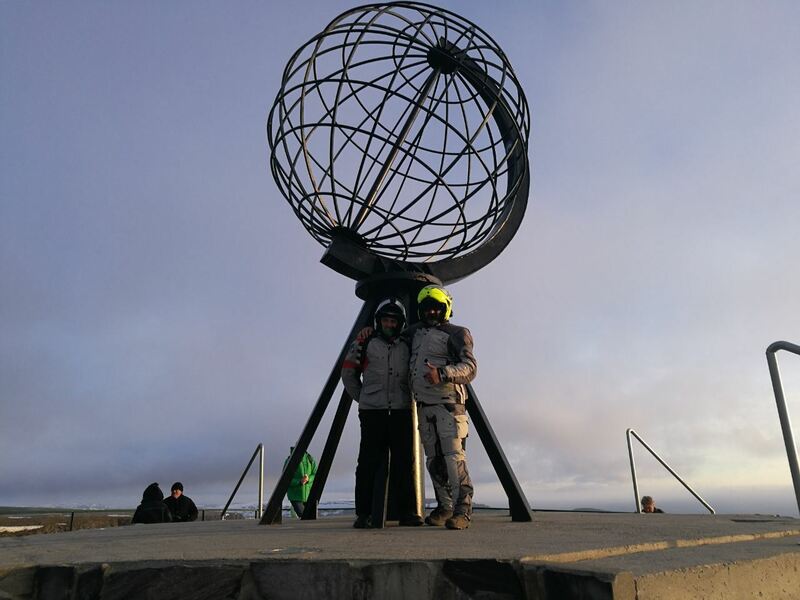 Their long motorbike ride was supported also by a small donation from IKIS, that sorted out their accommodation in Oslo. We have suddenly lost a piece of IKIS, and want to remember him: Goodbye Luca Usai. Luca was one of the driving forces behind the creation of the Italiensk Kulturforening i Stavanger (IKIS), almost 10 years ago. He was born in Cagliari in 1972 and has always been a very keen promoter of the Italian culture and language. Apart from his involvement with IKIS, he started the successful language school Allora, just to mention one of his initiatives. Luca's funeral will take place on Tuesday 11th of October, at 10.00 AM at the Catholic church St. Olav in Tønsberg. Check his memorial page for more information. 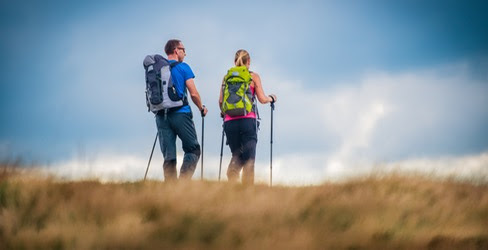 This walk is suitable for all age groups. Once you get to the top, you will be rewarded with spectacular views over Sandnes and Stavanger. Bring a backpack with lunch and drink. Dalsnuten is located in Sandnes and is easy to get to. Unfortunately, there is no public transport to Dalsnuten, so if any of you need transport or you have space in your car for extra passengers, please let us know. Andrei Sandulache and Cristina Moldovan, part of our ACTIVE 2016 team, will be your guides. Italy and Norway are increasingly connected and this relationship was sealed by the King Herald and his wife the Queen Sonja travel in Italy. 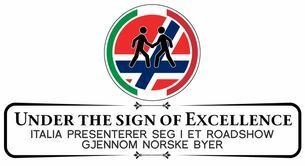 The Italian embassy to honour this synergy has flown as a kite: a Road show through Norway. This “Evento Intinerante” (road show) will present the Italian excellences that are cooperating with the Norwegian companies, moreover during this 50 events (some of which in Italy) it will pointed out the teamwork in different fields as politics, economy, culture, science and technology. The initiative was presented in Rome the last 28th of june and it was kicked off officially in Oslo with the docking of the “Amerigo Vespucci” ship and this leg in the Capital City will go on with others events. Next September 21th at 17.00 in the Gamle festsal of University of Oslo it will be celebrated the first graduated women in the world, Elena Lucrezia Cornaro Piscopia (graduate in philosophy at University of Padua in the 1678), and Cecile Thoresen (the first girl enrolled at the University of Oslo in the 1880). Solveig Horne, the vært barne-, likestillings- og inkluderingsminister i Erna Solbergs regjering, will take part in this event. Every step of the Road show anticipate concerts, conferences and tastings and will end in Stavager in may 2017. Italienske Elena, Sofia og Alessio som er 16 og 17 år kommer på utveksling til Norge fra skolestart. De skal gå på skole i Norge og bo hos en vertsfamilie for å lære norsk språk og kultur. De er skoleflinke og har mange interesser som musikk, kor, spille instrumenter, språk, speider, volleyball og rugby. Vi søker etter vertsfamilier til disse tre italienske ungdommene, og hva passer vel bedre enn IKIS, som har en genuin interesse for Italia, italiensk språk og kultur? Her har man muligheten til å få litt av Italia med i Norge, og praktisert italiensk språk hjemme. Å bli vertsfamilie er en fin mulighet til å bli bedre kjent med en annen kultur, språk og ofte oppstår det livslange relasjoner og vennskap mellom vertsfamilien, utvekslingseleven og utvekslingselevens familie. Velkomstfamilie i 2-3 måneder for en utvekslingselev? Noen familier synes kanskje det er lenge å ta inn en utvekslingselev et helt skoleår, og da kan det være fint å starte med å være velkomstfamilie for en utvekslingselev i 2-3 måneder, mens vi finner en permanent vertsfamilie resten av skoleåret. Av erfaring er det lettere å finne en vertsfamilie i nærmiljøet når utvekslingseleven har kommet i gang med skolen, begynner å få venner osv. Det er lærerikt, interessant og givende å være vertsfamilie for en utvekslingselev. il 17 gennaio scorso sono state indette le elezioni per l’istituzione del Comitato degli Italiani all’Estero (Comites) di Oslo. Il Comites è l’organo che rappresenta i cittadini italiani residenti all'estero nei rapporti con gli Uffici consolari. I componenti del Comites saranno eletti sulla base di liste di candidati sottoscritte dai cittadini italiani residenti nella circoscrizione consolare. Le liste potranno essere presentate al Consolato entro il 16 febbraio 2015. Le elezioni si svolgeranno il 17 aprile prossimo. Potranno votare tutti i cittadini italiani che hanno compiuto 18 anni alla data del 17 aprile 2015, sono iscritti all’Anagrafe degli Italiani Residenti all’Estero (AIRE), sono residenti nella circoscrizione consolare da almeno sei mesi e che godono dei diritti politici. Questa lettera è rivolta quindi a tutti i membri del nucleo famigliare che possiedono tali requisiti e che risiedono all’indirizzo di invio. Il modulo di domanda potrà essere anche richiesto ai consolati onorari, o scaricato dal sito www.amboslo.esteri.it Sono accettate anche domande redatte in forma libera, purché riportino nome e cognome, data di nascita e l’indirizzo aggiornato del richiedente, esprimano l’intenzione di votare per l’elezione del Comites, siano firmate ed accompagnate da fotocopia di un documento personale. La domanda può essere inviata al Consolato per posta a Inkognitogata, 7 - 0244 Oslo, per posta elettronica consular.oslo@esteri.it o anche recapitata personalmente. LA DOMANDA DEVE ARRIVARE AL CONSOLATO ENTRO IL 17 MARZ0 2015. N.B. : LE OPZIONI GIA’ PERVENUTE PER LA TORNATA ELETTORALE DEL 19 DICEMBRE 2014, POI NON TENUTASI PER MANCANZA DI LISTE VALIDAMENTE PRESENTATE, SONO ANCORA VALIDE. Entro il 27 marzo prossimo il Consolato invierà per posta ai soli elettori che lo abbiano richiesto il plico elettorale, contenente la scheda per il voto e una busta preaffrancata per la sua restituzione. Conto che anche voi vorrete contribuire a questo importante esercizio di democrazia.